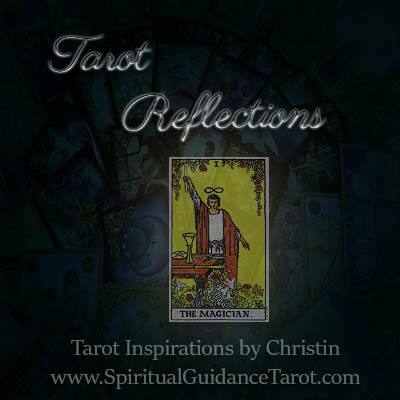 Learn about the different Tarot cards of the major arcana and the life lessons they embody. Every Tarot card has personality traits associated with it. These can be helpful when looking at other people, but also for personal reflection. Perhaps you want to know what your greatest strengths and challenges are? The cards can give great insight into the personality and help you develop strengths and face your weaknesses. The Empress is the matriarch of the Tarot and symbolizes fertility and abundance. She represents those who are nurturing and compassionate by nature, sometimes so much so that they put everyone ahead of themselves when not properly aligned. People with this card tend to base their sense of identity and self-worth on others and on their roles and so long as they properly balance this with self-care, it’s a wonderful thing. Empress people are also very creative and expressive and must use that ability to thrive. Sequestering the creative energies in this personality can be detrimental to spiritual and mental health. Empress people thrive when they are using their creativity to solve problems and to provide comfort and sustenance to others. Pregnancy in this card is not only symbolic of fertility in the physical sense, but of the creative life force that wants to manifest. The Empress person must have freedom to express themselves and should strive to keep a sense of personal identity separate from other people. Empress people are most often drawn to artistic fields, teaching and the healing professions. They tend to be empathic and compassionate and others are drawn to their loving energy. Sometimes Empress people love a project so much that they may attract people who are broken in an attempt to fix them. People with this card need to be very discerning in personal friendships and romantic relationships to ensure they are drawing healthy people into their circle. The best way for this to happen is to focus on self-love and acceptance first. The Devil Tarot card is one of the more complex cards in the deck and also one that tends to be misunderstood. When it appears around the person asking the question; it tends to point to self-sabotage and our deepest, underlying fears that can work against us. Some of the benefits of this card are self-awareness, taking accountability for our actions rather than making excuses. The challenges of this card can be a variety of issues. You may struggle with bad habits or addictions that require behavior modifications or better understanding. Many people with this card struggle to form appropriate, strong boundaries with others and can fall prey to narcissists and others who tend to take advantage of the emotionally vulnerable. Conversely, you may be someone who struggles with being manipulative towards others when you fear loss, abandonment etc. When the Devil card appears in Tarot around another person; it tends to indicate someone who is likely being deceptive or only serving their own self-interests. Devil people tend to be narcissistic, self-serving in a selfish way – they look out for themselves and will say or do whatever it takes to get their own way. In relationships, these people tend to be very difficult to live with. Often they are charming at first, but later on, their true colors are revealed. The reasons many Devil people tend to be controlling, however, is that deep down they are deeply insecure. They feel compelled to control others because they don’t want to feel vulnerable themselves or risk rejection, abandonment etc. Dealing with a Devil card is always a challenge, however, it also provides an opportunity to see ourselves and others with more clarity. No one is without “darkness” or “challenge”. What we resist persists. If you find you are plagued with bad habits that sabotage you; take a look below the surface of these problems and get to the heart of the fear or issue. If you find you are repeatedly drawn into relationships with challenging people, explore that also. Are you struggling with your sense of self? Do you feel the need to please others at your own expense? If so, what fears are fueling that tendency? The Devil’s gift is reflection – and when we do this honestly we can overcome the obstacles that sabotage us. Every card has a distinct “personality” and those characteristics can be used to look a bit at the person you are reading for or about. This is a great way to better understand others and even yourself! For example, draw two cards: One for natural strengths and the other for challenges. This can help you determine how to approach someone, or even give insight into why you feel, think and act as you do. You can also choose one that you resonate with as a “significator” card for a reading for yourself or another person. Learn more about strengths you have and how to develop them to their fullest potential. Tap into your challenges and better understand how to work with and around them to make life easier. The Empress represents maternal instinct, the nurturer who is compelled to care for others and to provide comfort. This person is often artistic or musical. Empress people are more geared to use the creative side of the brain and will often come up with unconventional solutions to challenges. Empress people need to use their creativity and personal expression and will use it to inspire and encourage others. Naturally empathic, sometimes to a fault, Empress people can sometimes end up mothering everyone around them at the expense of taking care of their own needs. Empress people value beauty, aesthetics and are naturally optimistic. They believe and live by a notion that love and kindness conquer all. They see the beauty in everyday places, events, and people and are genuinely kind and compassionate beyond measure. Empress people who embrace their need for creative expression live much more fulfilling lives than those who try to “conform” to other people’s standards. Unfortunately, their need to please others often leads them away from their authentic nature and Empress people often feel conflicted and torn. You will not meet a more generous and genuine nurturer than an Empress. When properly balanced, this person is a true matriarch, a light and great comfort for those who depend on her. She is creative, expressive and encourages others to see the beauty in all things – even themselves. An empress who is not well-balanced will often fall into the trap of “people pleasing” to the point she loses her sense of self. At that point, she may become depressed, stop caring for herself and even become too overbearing as her sense of identity is wrapped up in those around her. Her roles take on more importance than finding herself. Did you know that every Tarot card can give a bit of insight into personality traits when used for that purpose? Most people associate the Court Cards only with distinct personalities, but there is a lot more to it than that. The Priestess represents a strong person (usually a woman), who has an ideal blend of logic and intuition. Her emotions run deep, but she is very self-aware and able to distinguish emotion from intuition. She is also keenly analytical and she can combine these skills in such a way that she is a natural leader. Priestess people are often business owners, philanthropists, or women in leadership roles. They sometimes come across as aloof or more distant, but they are very compassionate and fair-minded. They don’t jump to conclusions and will distance themselves to “feel out” a situation before making a decision or taking action. They know how to form proper boundaries with others and that makes them objective and insightful. High IQ and EQ combined. This person has a commanding presence but is reasonable and well-grounded. Priestess people rely heavily on their naturally strong intuition and they have an uncanny ability to see through hidden agendas etc. Because of this natural strength, people sometimes feel intimidated by this person. You’ll find though, that despite their ability to see deep, hidden inner secrets; Priestess people are highly compassionate and slow to find fault with others. Priestess people believe in the inherent goodness in people and understand that all humans have “flaws” etc. While they may see your subconscious secrets, they don’t judge you for them. Rather they are great friends and mentors because they understand human nature and know instinctively how to help others overcome their limitations. Priestess people are very wise and are often drawn to careers like psychology, teaching and any position where they can impart wisdom and help others grow. The challenges with a Priestess card can be a tendency to appear aloof. Priestess people who don’t have good command of their intuition/emotions can also have bouts of intense anxiety, depression, and moodiness. The strengths of Priestess people are keen intuition, a strong mind and innate understanding of human nature, and a good balance between logic and intuition. Each Tarot card has personality traits associated with it. These can be helpful when looking at other people, but also for personal reflection. Perhaps you want to know what your greatest strengths and challenges are? Maybe you are meeting someone new and want to better understand how they view the world? The cards can give great insight into the personality and help you develop strengths and face your weaknesses. You can also learn how to better relate to others. The magician represents someone who is extremely intelligent, keenly aware of others and very resourceful. They are strategists and leaders who are able to come up with solutions to problems fairly easily and don’t accept defeat. They are also masterful at persuasion and engaging others. Those with good intentions are great at leading teams, getting people to cooperate etc. Those who are selfish with this card tend to be manipulative and controlling, but not in an overt way. Their control tactics are more subtle and nuanced. Those with good intentions are great at leading teams, getting people to cooperate etc. Those who are selfish with this card tend to be manipulative and controlling, but not in an overt way. Their control tactics are more subtle and nuanced. Think passive aggressive as an art form. Most people with this personality card however, are masterful at turning their ideas into reality. Many of them are multi-talented and highly inventive or creative. Their ability to both see a vision and put that plan into action gives them an edge that many others don’t have. These are the people that we marvel over and just wonder how they are so naturally talented. The truth is, it’s a lot of hard work, but they make it look easy. The positive personality traits of the Magician are resourcefulness, intelligence, and creative strategy. The challenges with this personality are a tendency to be controlling and manipulative when it suits their agenda. They want things the way they want things and will do whatever it takes to ensure they get what they desire. A well-balanced magician is multi-talented, charming and naturally persuasive. They also exude a magnetic kind of energy that others want to emulate. They can lead by example and be great role models.